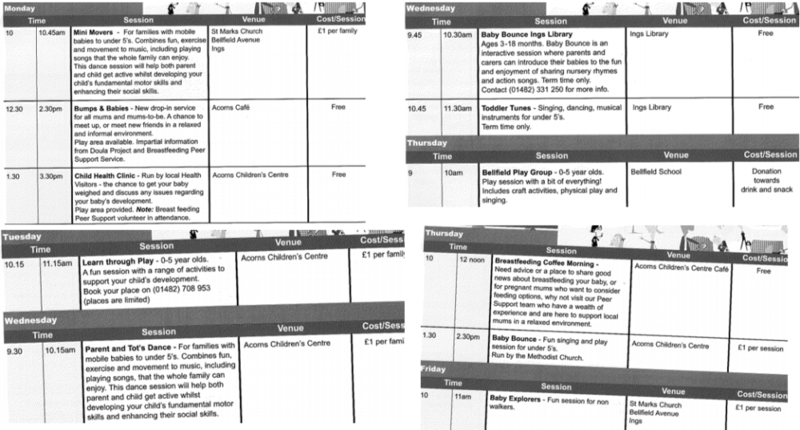 PLAYGROUPS & CLASSES ON MULTIPLE DAYS IN EAST HULL. For individual days use the left navigation panel. Below is a list of all the local playgroups, classes, activities and clinics across this area (east of Beverley Road to Hedon). Please contact the organisers directly if you would like to find out further information or to confirm class times or costs. HENRY is Health Exercise and Nutrition for the Really Young. It’s an 8 week parenting course with a crèche included, open and free to Hull residents. The programme is for parents or carers of children aged 0 to 5 years old and covers topics such as positive mealtimes, active play and managing behaviour. Please call 01482 828901 or email healthylifestylesteam@hullcc.gov.uk to book a free place (or contact your Children’s Centre direct). 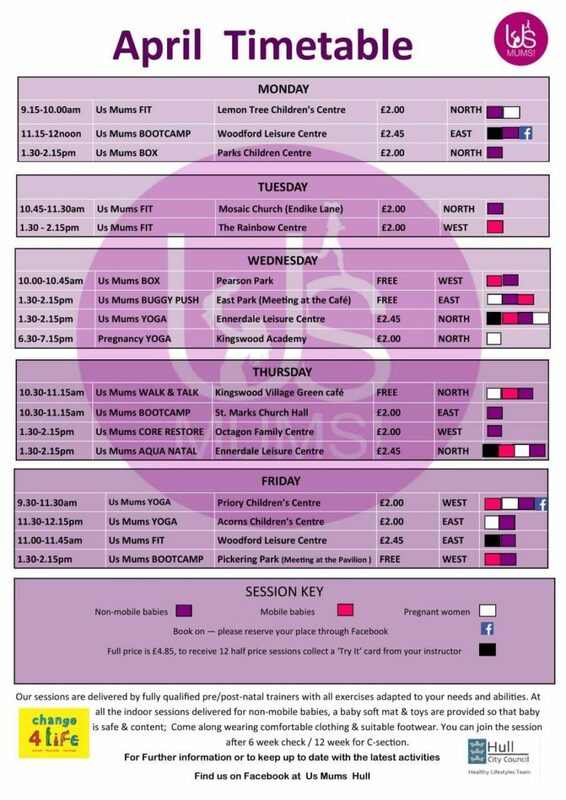 Us Mums are fun and effective fitness sessions suitable for pregnant women and new mums where you can bring your baby along (there are specific sessions for non crawlers). Run by Hull City Council Healthy Lifestyles Team. No need to book, just turn up. For more info call 01482 828901 or check their facebook page here. Acorn Children’s Centre, Nestor Grove, Bilton Grange, Hull, HU9 4DB. 01482 708953. Longhill site, Shannon Road, Hull, HU8 9RW. 01482 612542. Please call before attending sessions to check there are places. 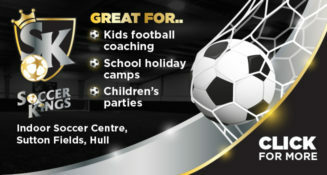 Winifred Holtby School Pools, Midmere Avenue, Hull, HU7 4PW. St Stephens Shopping Centre, Ferensway, Hull. Trampoline park located on the top floor of St Stephens (entry outside next to Next). Lots of fun for children and grown ups! A floor of trampolines and bouncy activities. 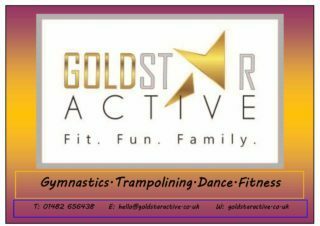 They run Toddler Sessions where only under 5s can bounce and it’s only £5 for an adult and child session. Term time they run Mondays 10-11am, Tuesdays 1pm-2pm, Wednesdays 10-11am, Fridays 1pm-2pm and Saturdays 9am-10am. The last Friday of the month toddler session is a themed one. During school holidays they run every day 9-10am. For more info and to book call 01482 231707. Fenchurch Children’s Centre, Fenchurch Street, Hull, HU5 1JF. 01482 497800. Also incorporates Octogan – The Octagon Family Centre, Walker Street, Hull, HU3 2RA. 01482 497800. Hedon Scout Hut, Sheriff Highway, Hedon. Lemon Tree Children’s Centre, Lothian Way, Hull, HU7 5DD. 01482 828901. 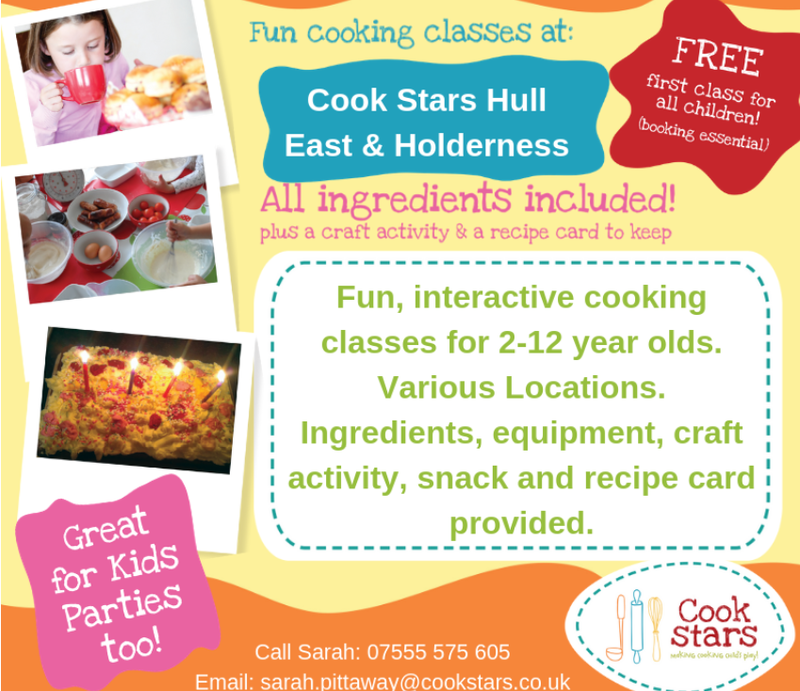 Little Stars Children’s Centre, 95 Preston Road, Hull, HU9 3QB. 01482 790277. 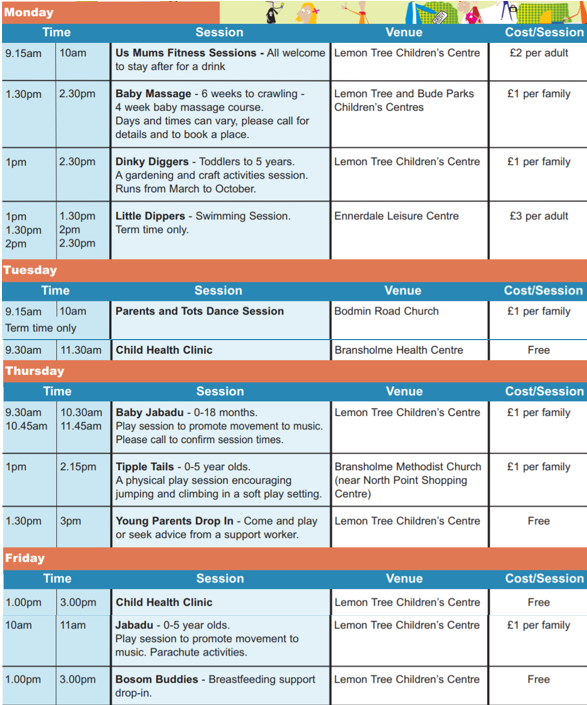 Baby and childrens sessions running throughout the week, call them for latest timetable. 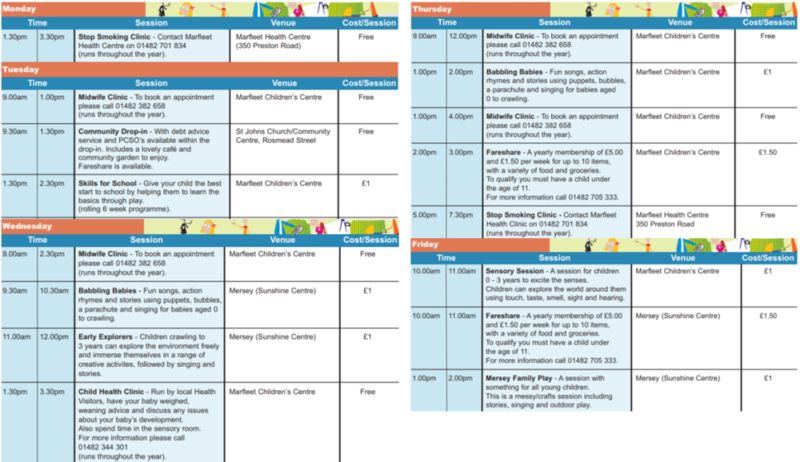 Marfleet Children’s Centre, Preston Road, Hull, HU9 5AN. 01482 705333. Available across Hull & the East Riding. Active Skateboarding are a nationwide Skateboard School and No.1 provider for professional Skateboarding lessons and workshops in Hull & East Yorkshire. Provide one-to-one & group Skateboarding lessons, developing self-confidence, discipline and helping to keep children active and lead a healthy lifestyle through the medium of Skateboarding. Classes at The Space Dance Studio, 107-109 Grafton Street , Hull, HU5 2NP and at The Freedom Centre Studio, Preston Road, Hull. 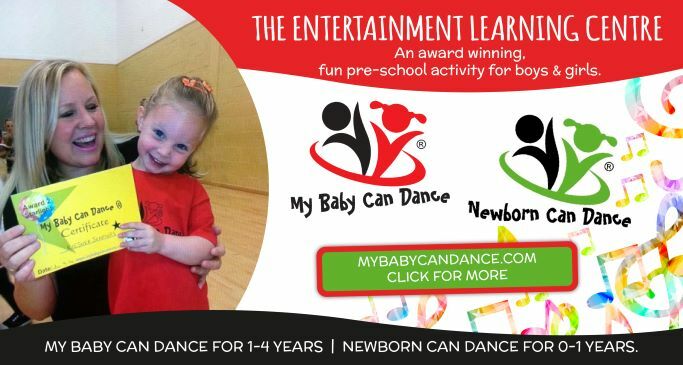 Run classes Monday to Saturday, starting at age 2 for Baby Ballet and Baby Street up to older children for all dance styles and musical theatre. See each day listing for details. Eden’s Baby Experiences run regular baby massage courses from Victoria Dock Village Hall, 9.45 – 10.45. The courses run for four weeks and is suitable from birth until your child is activity moving around. Each week you will learn new massage strokes that help you and your child relax and bond together. Each stroke has many health benefits including a massage routine to help with colic. Massage mats, oils and handout are provided. Edens Baby Experiences also run Messy Play sessions for 6 months to 5 years and do parties. For more info and bookings contact them via the details above.